The International Waterski & Wakeboard Federation (IWWF) continues its push to have cable wakeboarding as part of the Summer Olympic Games. 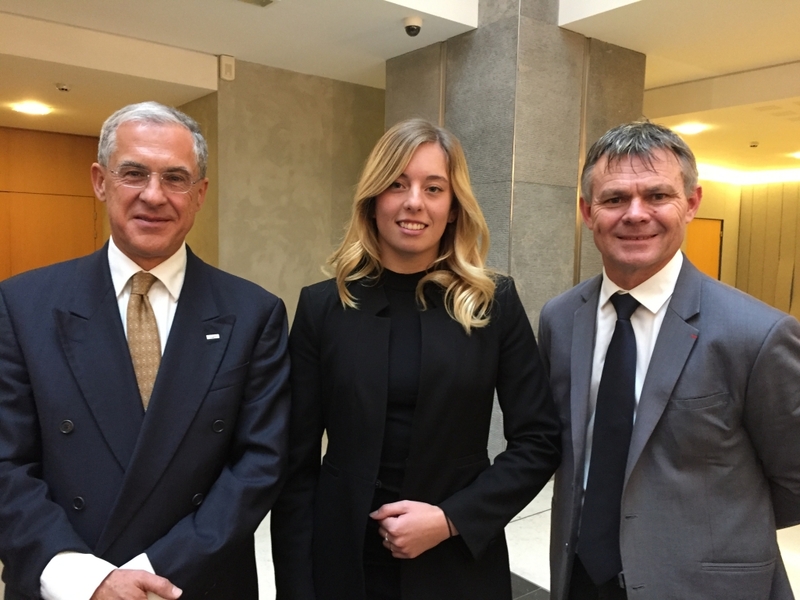 Efforts were stepped up on 14th January 2019 in Paris by a delegation led by IWWF President Jose Antonio Perez Priego, an IWWF World Cable Wakeboard Champion Sanne Meijer and the President of the French Waterski and Wakeboard Federation, head of the IWWF Olympic Task-Force, and former many time World Waterski Champion Patrice Martin. Cable Wakeboarding is considered to be a contender for a spot on the short list of additional sports for the 2024 Paris Olympic Games, competing with surfing, skateboarding, karate, sport climbing, baseball/softball, pétanque, squash and billiards. The Paris 2024 Olympics Organising Committee (OCOG) and IOC are looking for sports that fulfil their goal of presenting an extraordinary Games. These sports should be youthful, visually exciting, highly appealing for TV audiences, gender equal, environmentally friendly and can provide legacy facilities for athletes of all abilities and ages. A decision on which sports will be shortlisted will be made in June 2019 during the IOC Session with a final decision on which sports make it into the Paris Olympic Games in December 2020. In support of the Olympic Quest the IWWF has created a Task-Force which aside from those mentioned above include Gregory Saint-Genies, the Director of the FFSNW and a former winter Olympian, Walter Ditsch, the IWWF Cable Wakeboard Council Chairman, Paul Fong, the Executive Director of the IWWF, and former world waterski champion George Athans who will act as the Chief Strategist and who will be in charge of all presentation materials and video production.